Tanya Thompson, RDH, BS- Tanya has been treating patients in the Children’s Dental Building for over 30 years and in addition to providing courses on orthodontics in the office to dental personnel, she runs cephalometric radiograph tracing seminars. She loves kids, is passionate about her profession, and is involved in continuing education courses to keep up with the latest in her field. Tanya graduated from Forsyth School of Dental Hygiene where she received her AS from Northeastern University, and then received her BS from the University of Rhode Island. Tanya and her husband are the proud parents of three children. Michele Rivera, RDH, BS- Michele graduated from Forsyth School of Dental Hygiene and received her BS from Northeastern University. 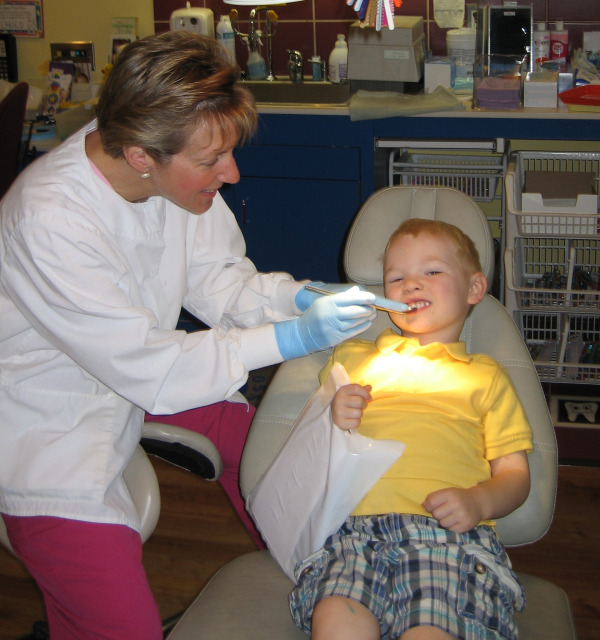 She has been treating patients in the Children’s Dental Building for over 19 years and both she and Tanya provide courses for dental assistants on orthodontics. Michele is instrumental in helping to prepare powerpoint presentations for Dr. Carapezza's lectures which he delivers both domestically and abroad. She is a lifelong learner and regularly attends continuing education courses to keep updated about the latest technology in the dental field. Michele is the loving mother of her two young children.